Gem Diamonds announced earlier this week (December 19) the recovery of two huge diamonds: high quality 101 carat and 71 carat white Type IIa diamonds from the Letšeng mine in Lesotho, both recovered within a 24-hour period. 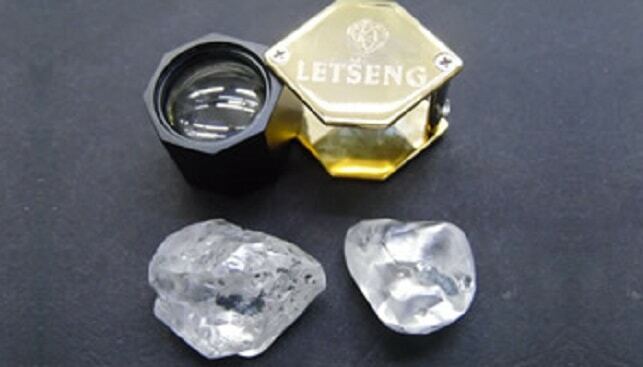 The recovery of the 101-carat diamond, the company says,brings the total recoveries at Letšeng to a record 14 diamonds of over 100 carats during 2018. Back in November, Gem Daimonds published its production and sales performance report for Q3 (July 1 to September 30, 2018), showing a rise of 27% in diamond production at Letšeng totaling 35,755 carats. Revenue for the period totaled $21 million, including the sale of eight diamonds for more than $1 million each.